Le Mans is a small, charming city in France. It seems to hum with French culture and is bursting with history. It is a beautiful mix of modern and old, with trams running through the city as well as preserved cobblestone streets in the Old town. There are many beautiful places to visit in Le Mans, so here is a list of a few that really sparked my attention. That Cathedral is a beautiful mix of Romanesque and Gothic style architecture. It is a magnificent building that sits perched on a hill, overlooking the town. It is hard to imagine how the residents aren’t completely breathless seeing it every day- or maybe they are. Still standing today, the Roman wall has strategically been incorporated with its surroundings and remains a historical sight worth seeing. A portion of the city remains in that classic French style of cobblestone streets. Walking through makes you feel as if you have been plopped down in Disney’s Beauty and the Beast, waiting for residents to open up their shutters and sing “Bonjour!” out the window. Unfortunately it didn’t happen to us, but there’s always hope. I don’t personally have a picture for the city center, but it is definitely one of the first things you want to check out. It is a big open spot in town surrounded by streets that hold French restaurants, stores, events, and more. It is where you will find everything you need, including Paul, a French chain restaurant that we have all found ourselves at multiple times. 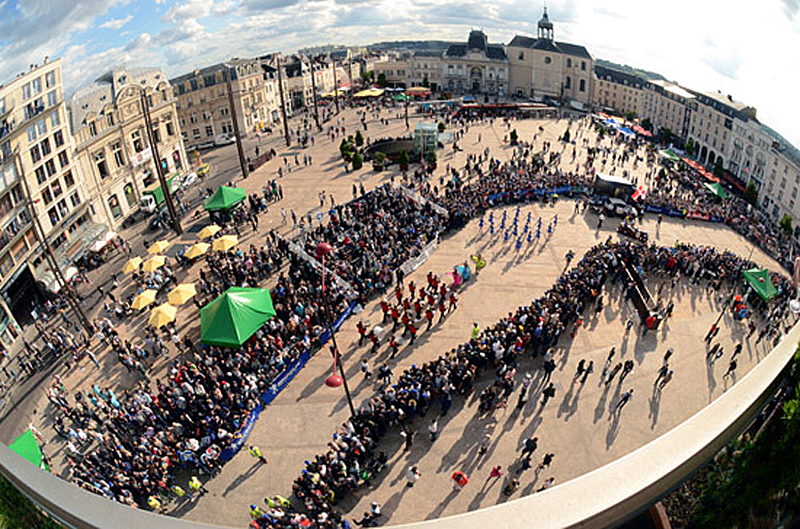 Here are just a few places that Le Mans has to offer. If you are looking for an authentic French city, Le Mans is where you want to go.